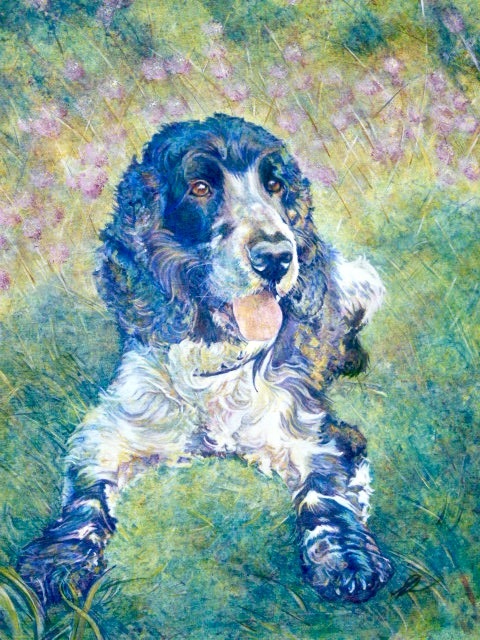 A commission for a pet portrait of a much loved Cocker Spaniel, from a beautiful photo that had all the ingredients for a lovely painting. I thoroughly enjoyed doing this portrait though it was challenging in places, especially the position of a grass seed over the left eye, (because if you don't get the eyes, you won't get the likeness.) I was really pleased with the result though, as was the client.